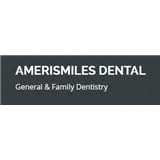 Amerismiles Dental (Dallas) - Book Appointment Online! Proudly serving the Dallas area! Dr. Suman Nalla was amazing... I am not one that likes going to the dentist however he was very gentle and when he gave me the shots I didn’t even feel them. I actually loved being at the dentist for the first time ever! And the girls that work in the office were very nice! I highly recommend this office!